The Company entered the road construction sector in 2001. 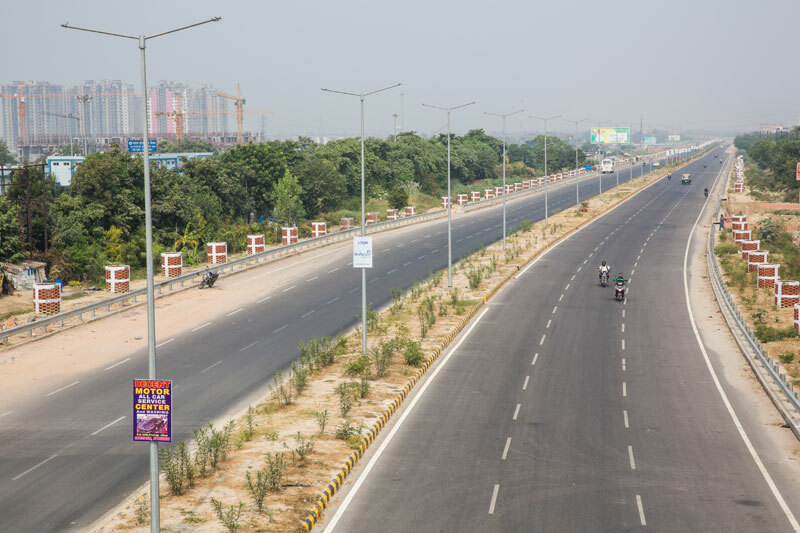 Thereafter, it implemented five Golden Quadrilateral road projects undertaken by National Highways Authority of India, connecting four metro cities with four-lane highways, and East–West as well as North–South Corridors. 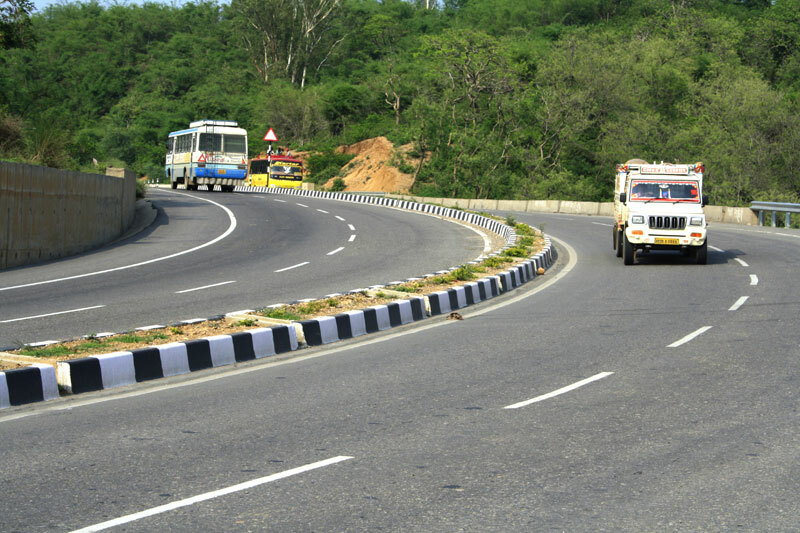 The total length of road projects completed by the Company is estimated at around 500kms. 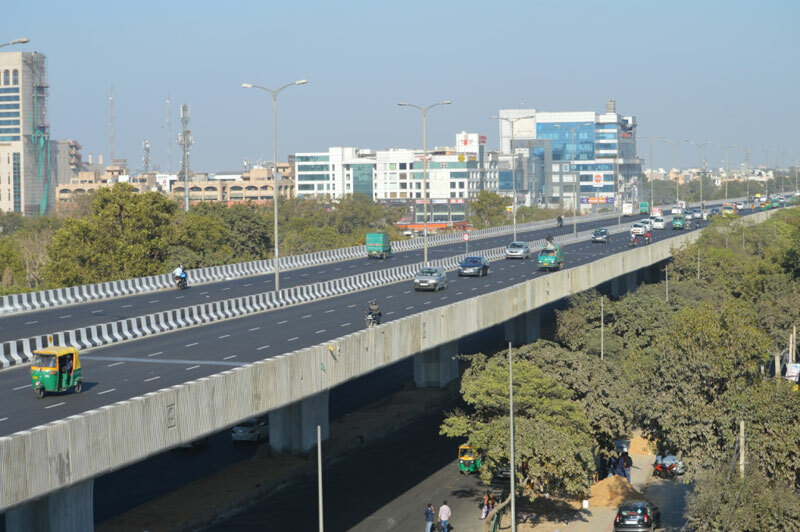 The Company is also engaged in the construction of flyovers, underpasses and river bridges using specialized foundation techniques. 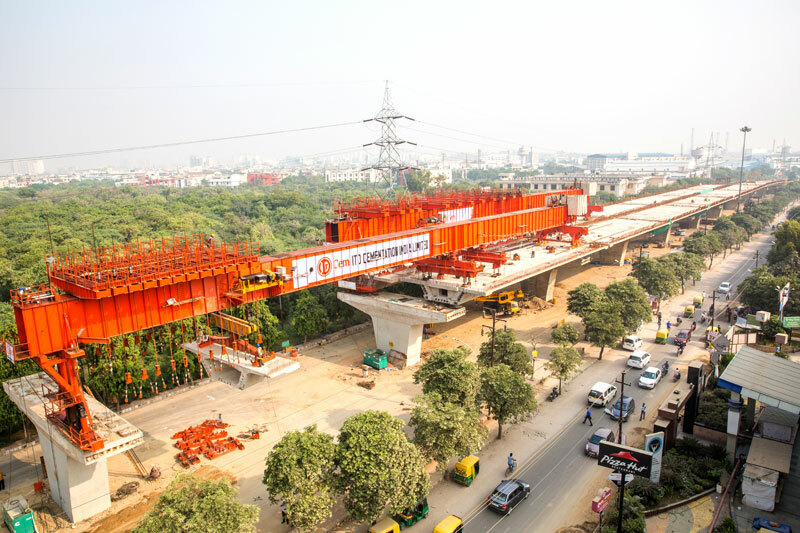 Pioneered the construction in India of a two-tiered flyover for Jaipur Metro. Equipped to execute complex projects involving long span bridges comprising special construction techniques. Invested with robust execution competence leading to on-schedule project delivery. 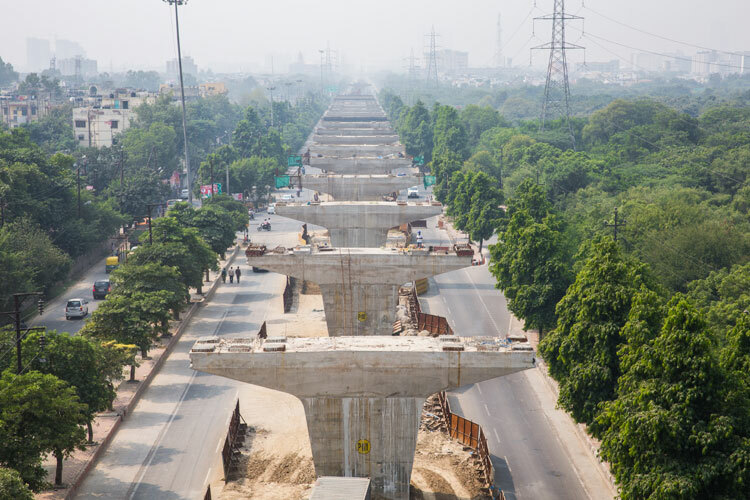 Construction done for six lane link road between NH 24 Byepass& NH 58 at Ghaziabad including ROB (Excluding Railway portion) on Delhi Howrah Rail Track. 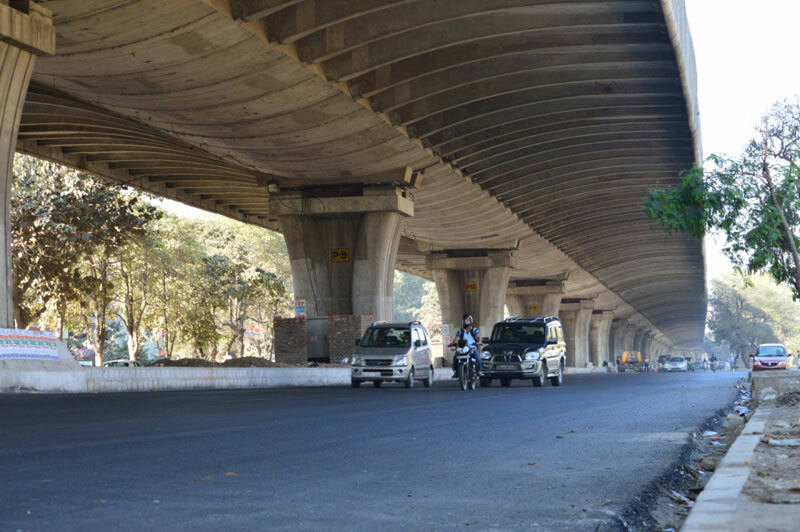 Widening to 4 lanes and rehabilitation of existing 2-lane carriageway of Pune-Satara section of NH-4; Package PS1 (725 Km. to 760 Km.) including construction of a flyover and major and minor bridges and currently doing Construction of 6 Laning of Pune Satara Road. 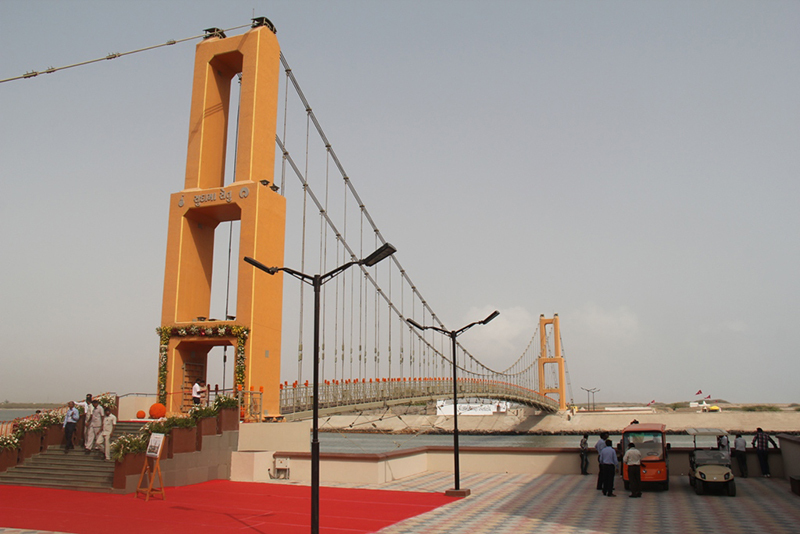 Constructed Suspension Foot Bridge – SudamaSetu at Dwarka, Gujarat.This pedestrian bridge constructed over Gomti river which connects JagatMandir of mainland Dwarka and Panchnad or PanchkuiTirth on the island in southeast of it. there are five sweet water well called Panchkui associated with five Pandava brothers of Mahabharata. Gomti river was crossed by boats till the construction of the bridge. 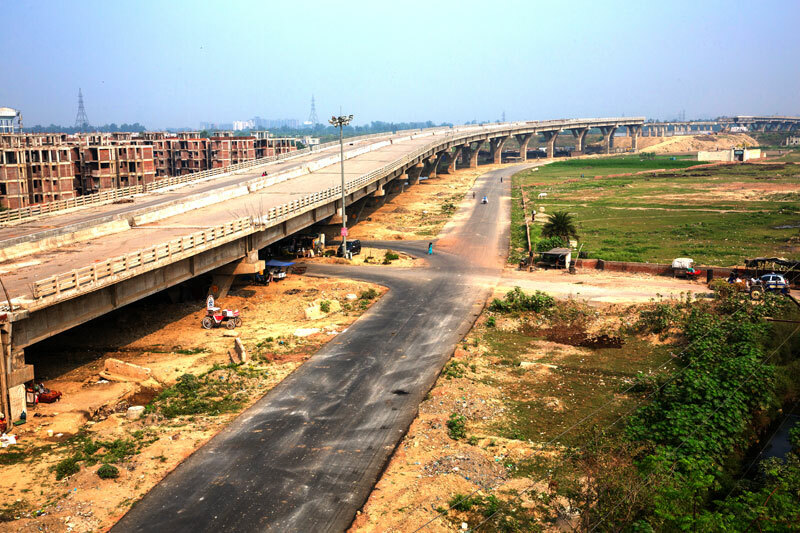 Construction of Bridges on National Highway No. 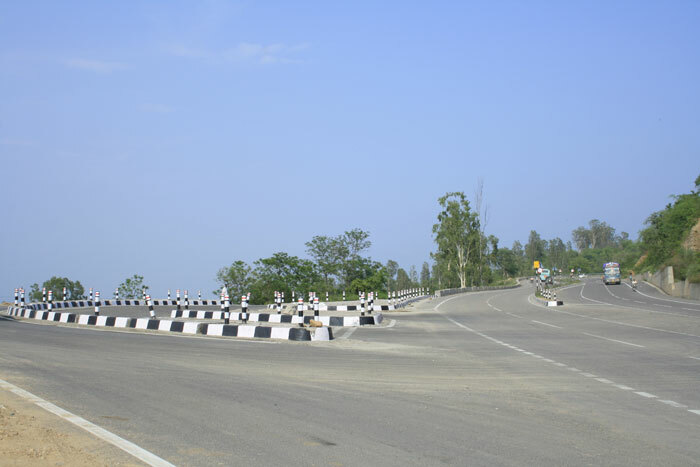 31Cin Package EW-II (WB-1) on a 28 km stretch in North Bengal. 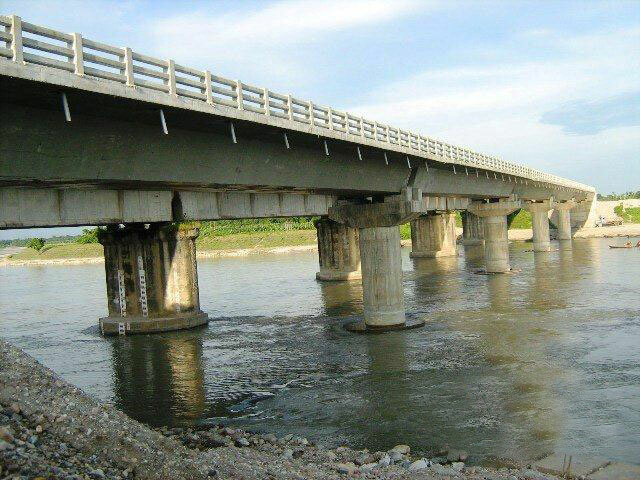 Work involved construction of 8 major bridges with span varying from 27m to 41m and length varying from 38m to 356m. 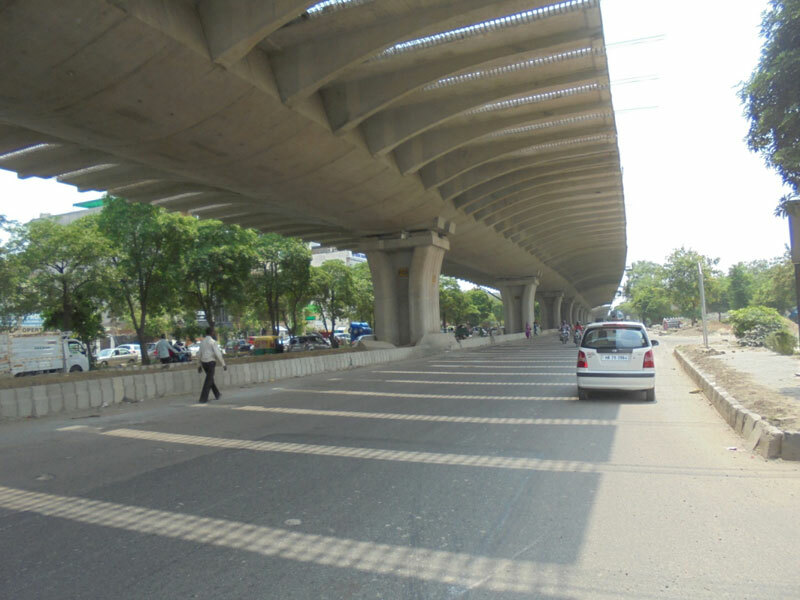 Flyover at Khodadad Circle, Mumbai for MCGM (Municipal Corporation Greater Mumbai). Dadar TT 0.865 Km. 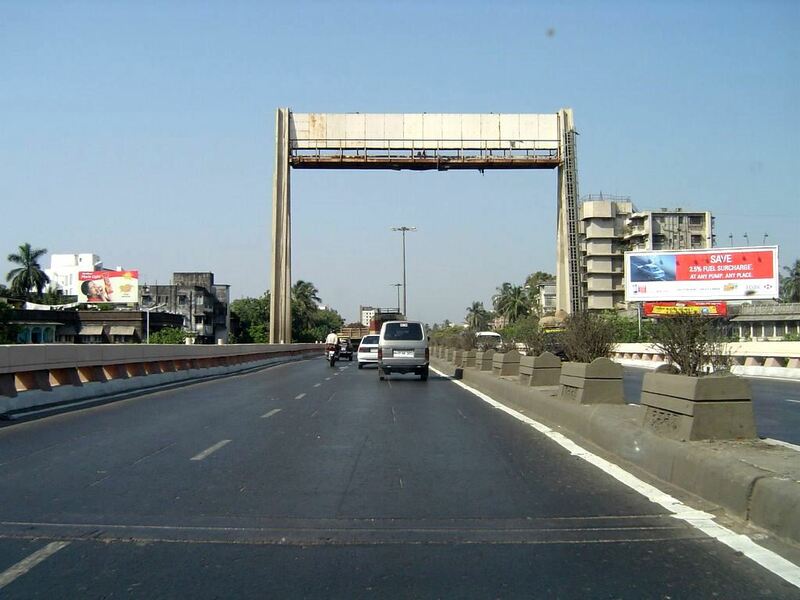 long Flyover at Khodadad Circle, Mumbai over the road with high density of traffic. 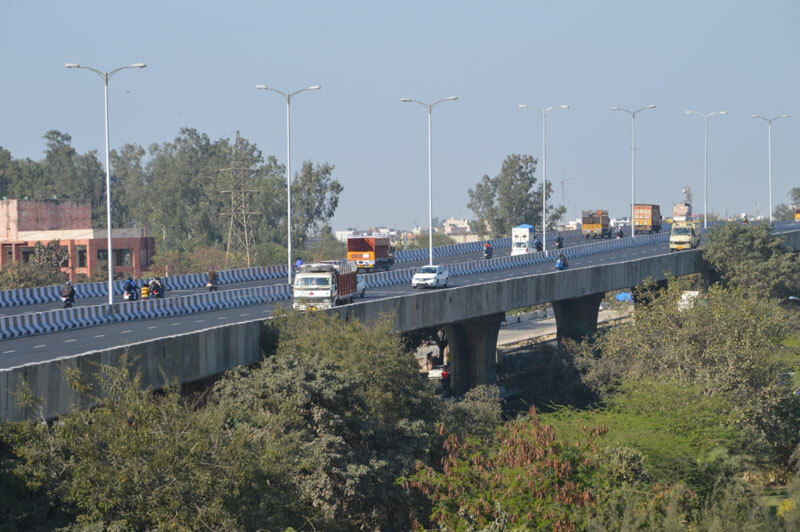 Rehabilitation,strengthening and four laning of Pathankot – Jammu Section (16.35 Km. to 50.00Km.) 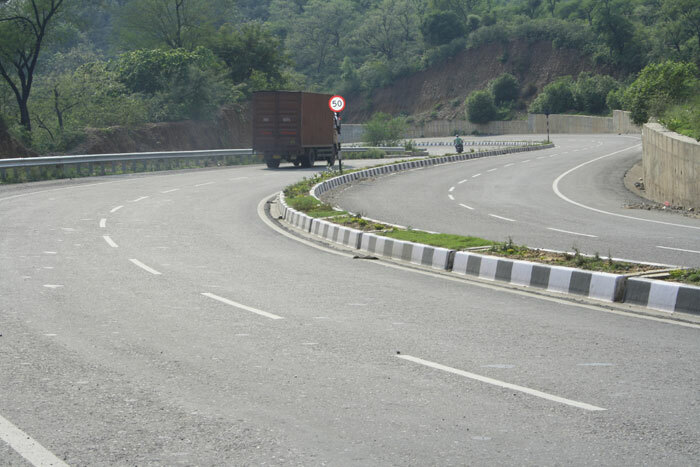 of NH-1A in the State of Jammu and Kashmir. 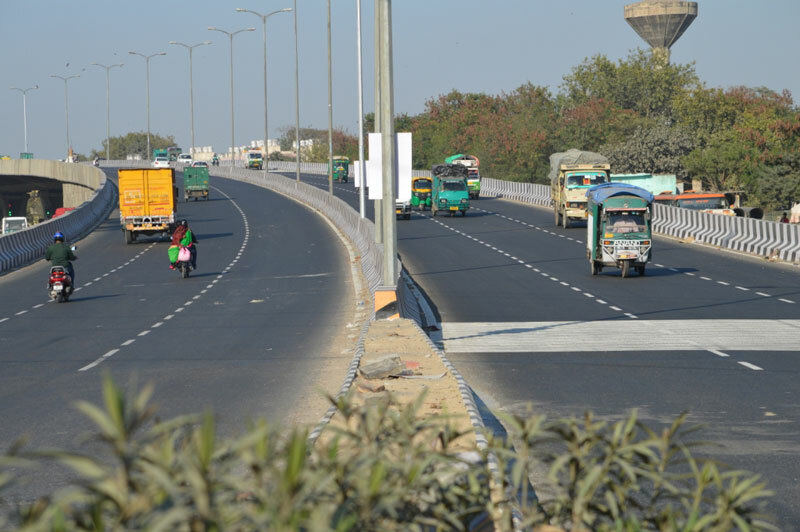 Scope of work includes construction of Flexible pavement – 33.65 Km, Major Bridges (5 nos), Minor Bridges (10 nos), Cattle crossing (1 no), Causeways(16 nos. ), Box culverts (90 nos. 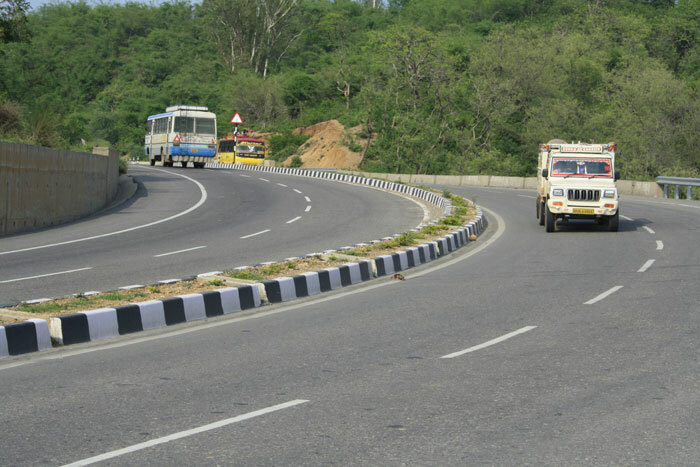 Rehabilitation, strengthening and four laning of Pathankot – Jammu Section (50 Km to 80 Km) of NH-1A in the State of Jammu and Kashmir. 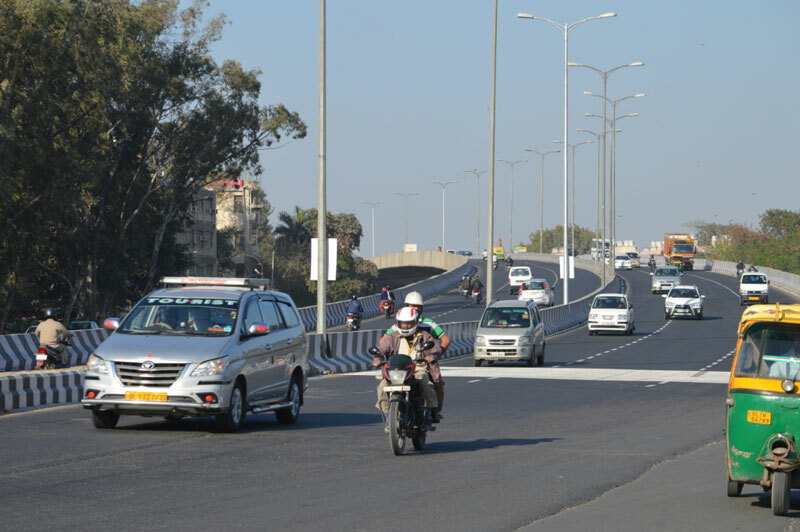 Scope of work includes construction of Flexible pavement (30 Km), Major Bridges (3 nos), Minor Bridges (8 nos), Road Under Bridge (1 no. ), Causeway (18 nos. ), Box culverts (50 nos). 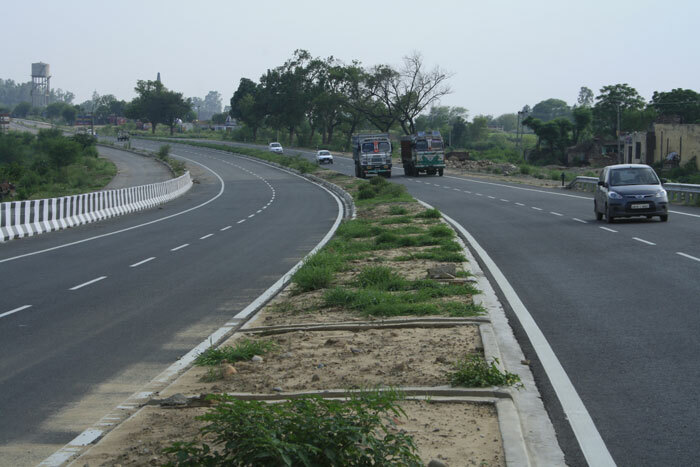 Rehabilitation, strengthening and four laning of Jalandhar – Pathankot section (70 Km to 110 Km) of NH-1A in the States of Punjab and Himachal Pradesh. 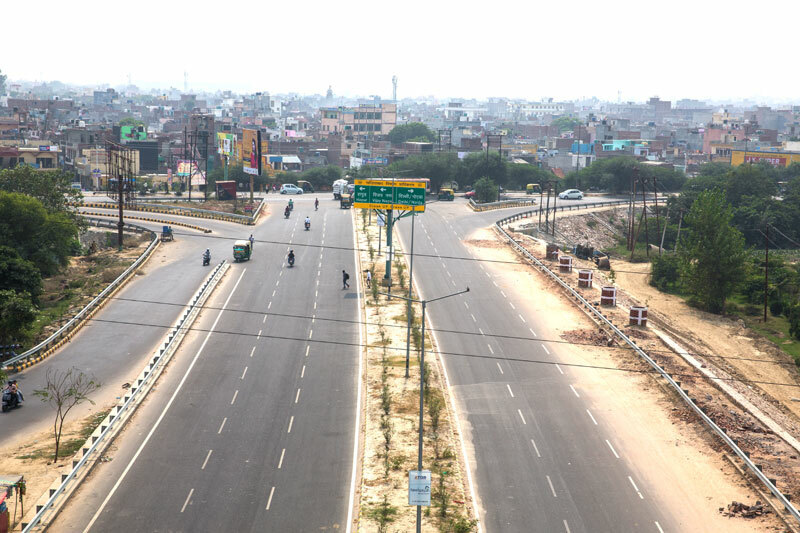 Scope of work includes construction of Flexible pavement (40 Km. ), Major Bridges (3 nos. ), Minor Bridges (8 nos. ), Road Under Bridge (1 no), Box culverts (76 nos.). 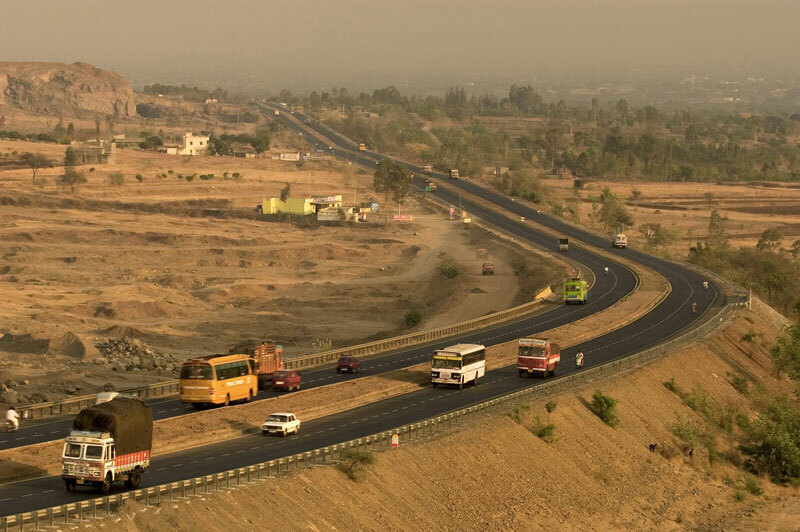 Widening to 4 lanes and rehabilitation of existing 2-lane carriageway of Pune-Satara section of NH-4; Package PS1 (725 Km. to 760 Km.) 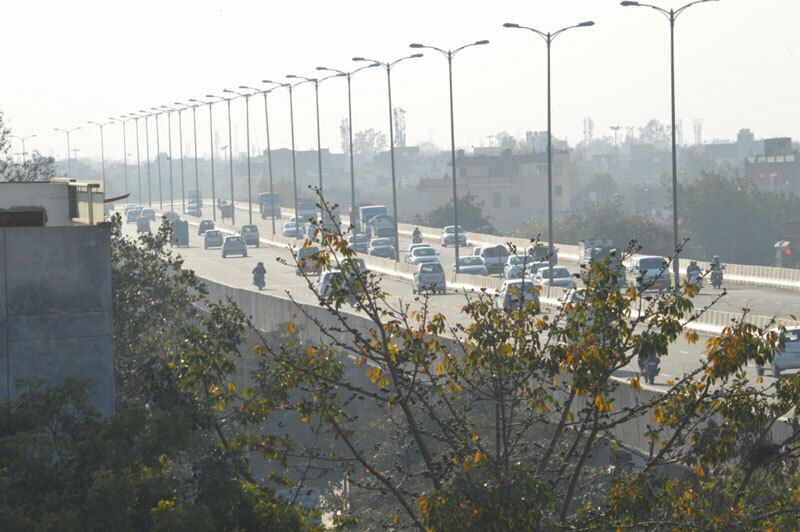 including construction of a flyover and major and minor bridges. Widening to 4 lanes and upgradation of the existing 2 lane service road and auxiliary works from Palasa to Korlam.Package AP4A (171 Km. to 200 Km.) and from Korlam to Ichhapuram Package AP4B (200 km. to 233 km.) 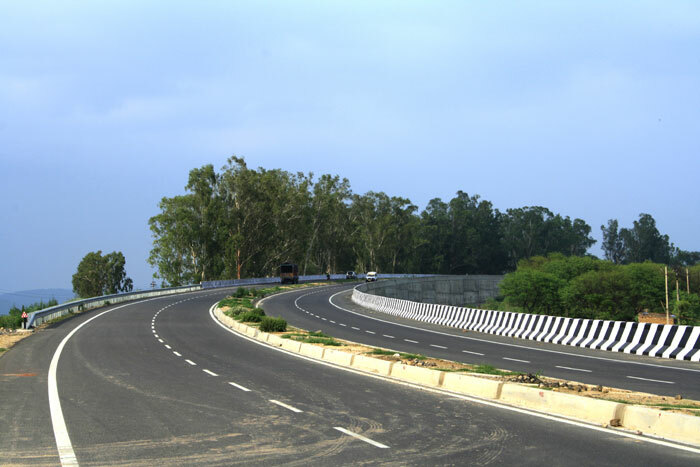 including construction of minor bridges and culverts in the State of Andhra Pradesh. 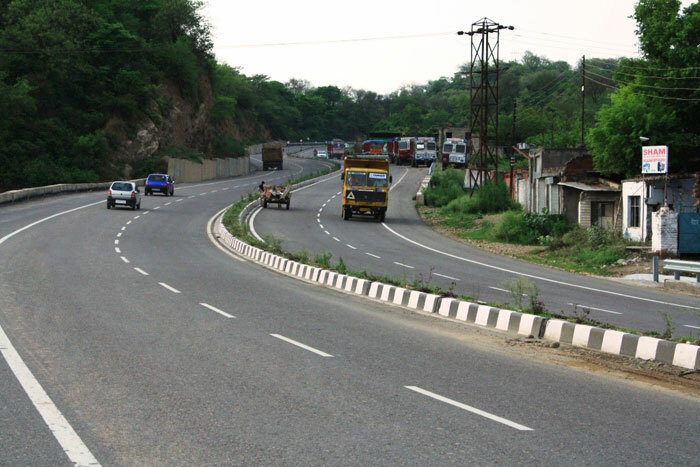 Widening to 4 lanes and rehabilitation of existing 2 lanes carriageway ofVaniyambadi – Pallikonda (NH-46) Package KR 2(49 Km. -100 Km.) and from Pallikonda to Ranipet Package KR3 (100Km. – 148 Km.). The work constituted 295 Nos. of major and minor bridges including one each over River Agram and Palar. 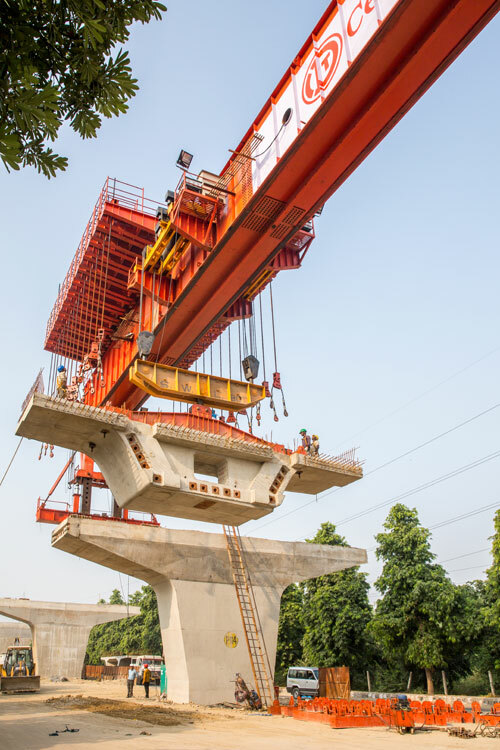 ITD Cem JV The MP-2 Package, part of EW Corridor, connecting Jhansi (the intersection point of East-West and North-South corridor) and Shivpuri involved construction of 35 Km. 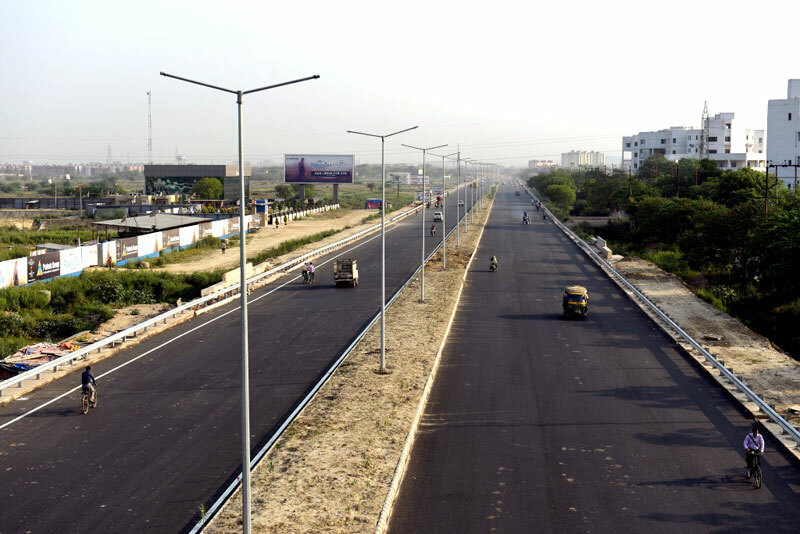 of flexible pavement including construction of 1.5 Km. 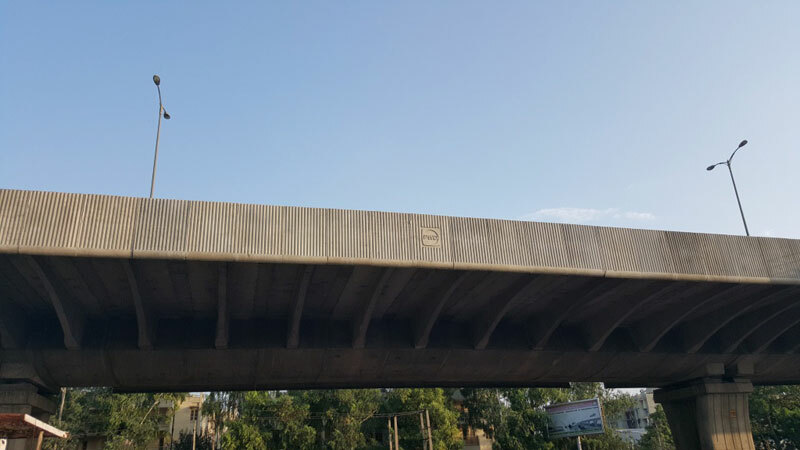 long Major Bridge (Sindh Bridge), minor bridges, culverts and 2.5 Km. long new alignment of Ghat Section on a virgin land. 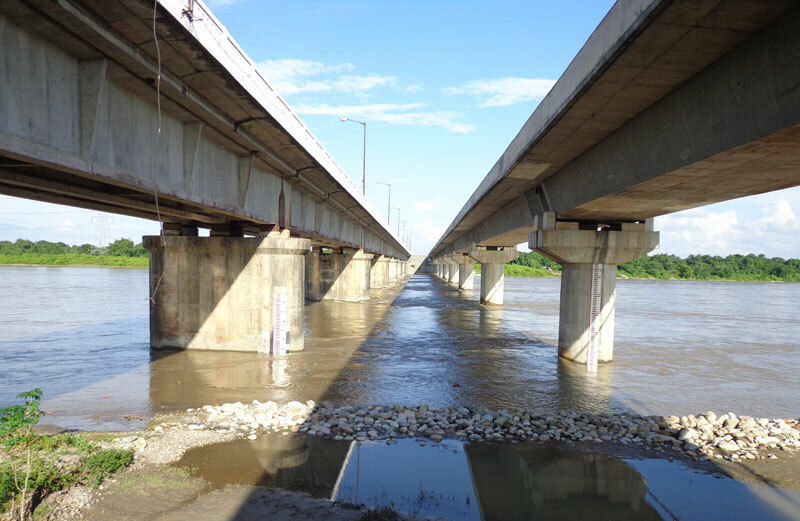 This bridge on river is constructed on pile and well foundation and steel superstructure with in-situ concrete deck. 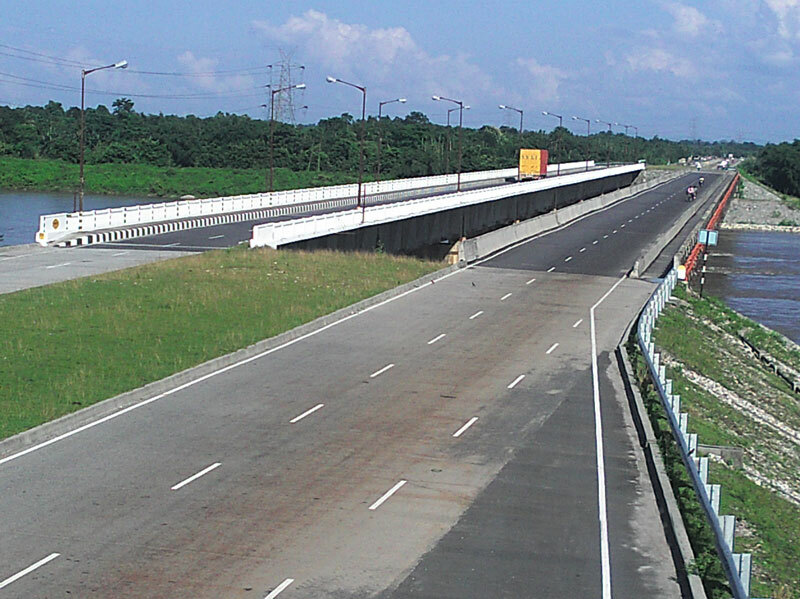 The project involved construction of a 2-lane road bridge of 510m. of length and 1.7 Km. 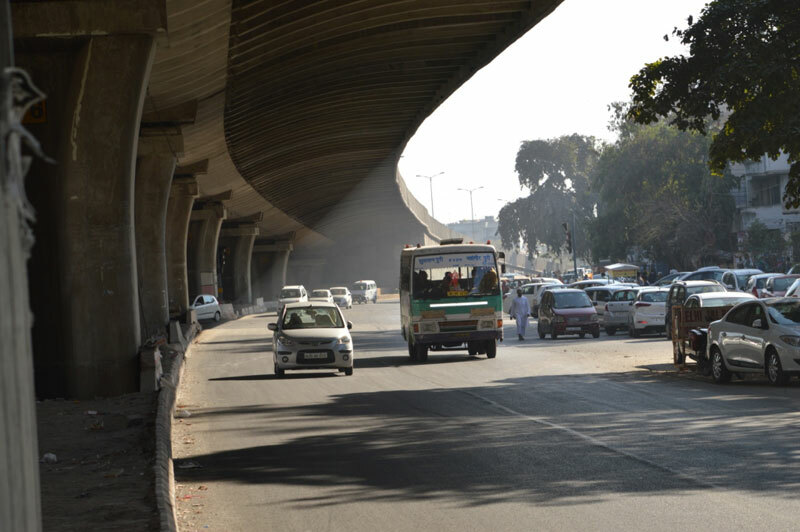 of double lane approach road with black top and high embankment built as per IRC Standards. Foundation works involved floating caisson method and for steel superstructure custom built crane using cantilever method was adopted. High approach embankment works involved band drain for ground improvement and extensive use of geo-textile fabric. Construction of bridge of 1.3 Km. length with deck width of 19m and a foot over bridge 3.1m wide and 146m. long over railway line. 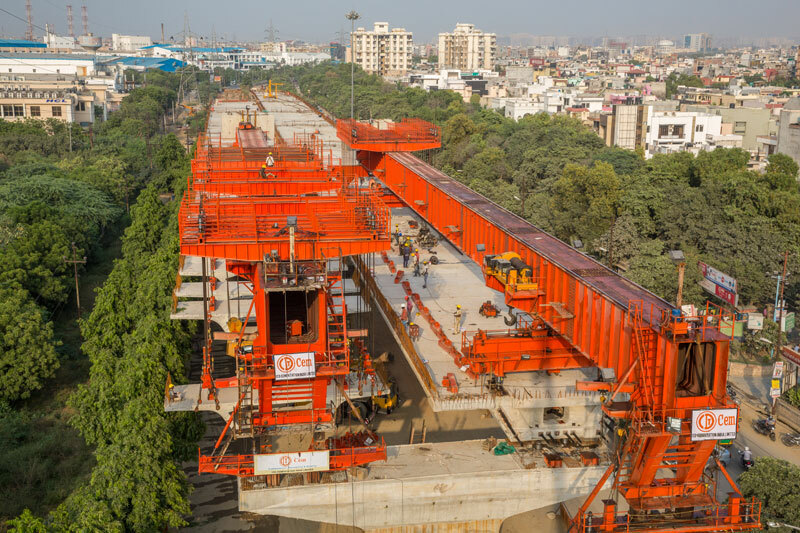 Superstructure consisted of RCC box girders of spans 19m to 35m and PSCbox girders of 41m for railway portion. 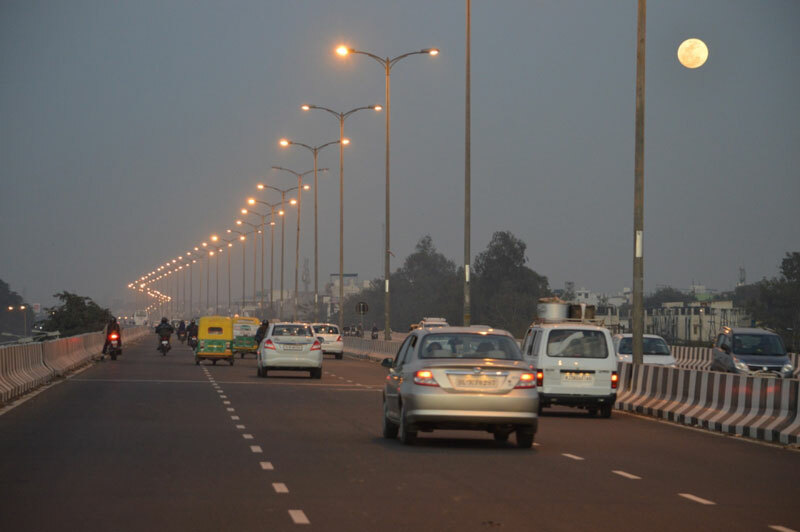 This flyover project was executed in the busy intersection of a typical urban area of the Ludhiana City along old GT Road. 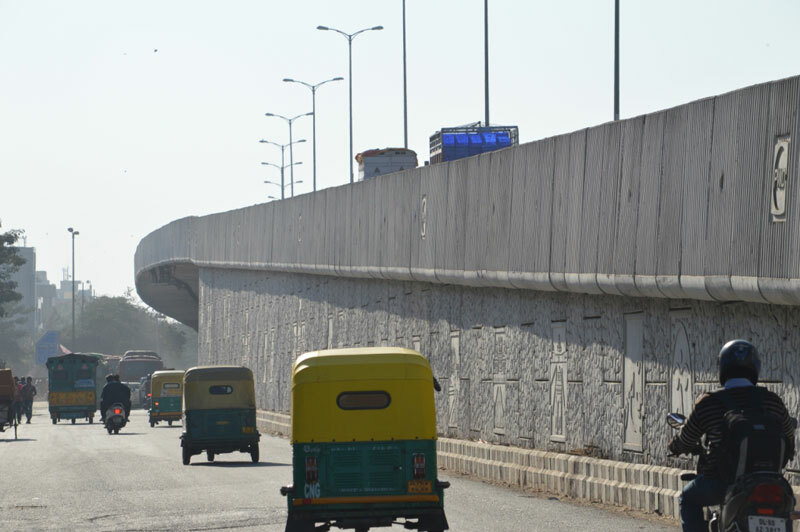 The project involved construction of flyover with approaches for a length of 2.3 Km and the 4-lane carriageway width of 16m. The substructure was bored cast in-situ pile foundation, pier & pier cap and the superstructure was of precast pre-tensioned ‘I’ girders with 3 continuous span configuration with cast in-situ concrete decking and having mastic asphalt topping. The approaches were constructed with reinforced earth retaining walls. 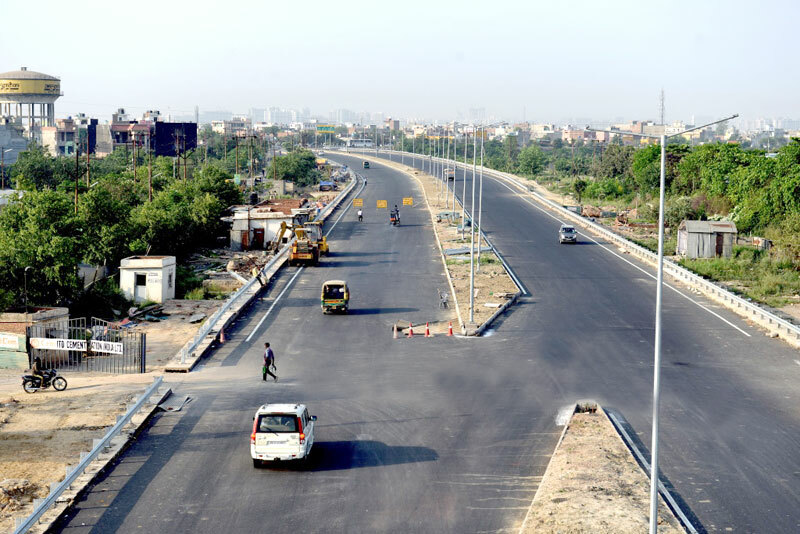 The work involved Construction of Flyover over Railway track and roads in the two busy intersections of the City of Kolkata executed as a partner in a Joint Venture. 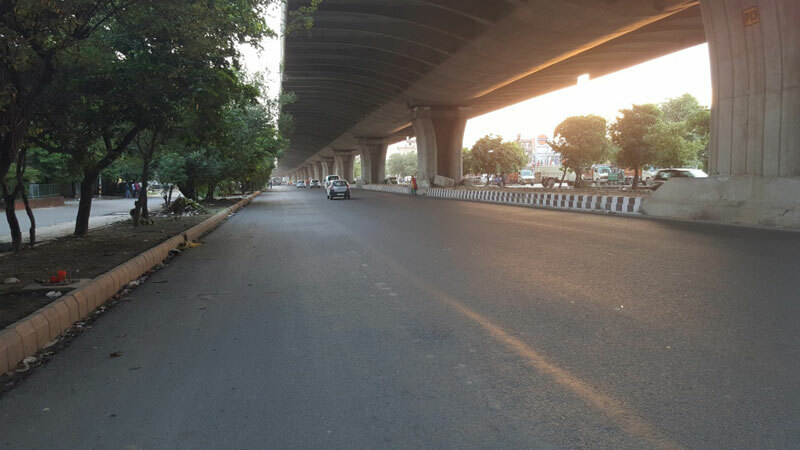 The Park Street Flyover at Central Kolkata is 600m long with a 4-lane carriage and the Cassipore, Lockgate Flyover at North Kolkata is 1.3 km. with 2-lane carriageway. The contract is a part of the 28 km 4-laning road work involving the structures executed on behalf of Main Contractor. The project involved construction of one major bridge 634m. 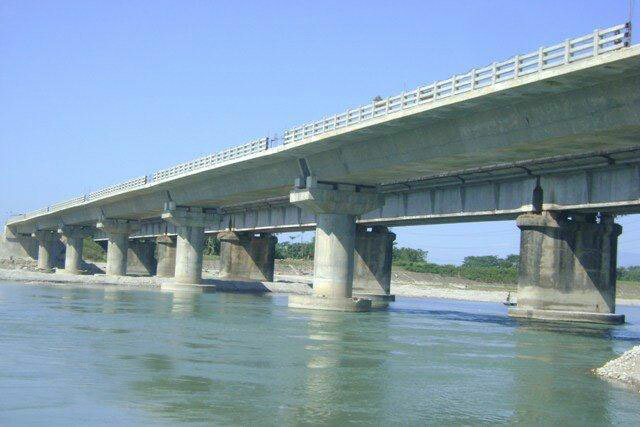 long over River Mahananda and 14 other bridge structures of length ranging from 24m.to 100m. The project also included a 740m. 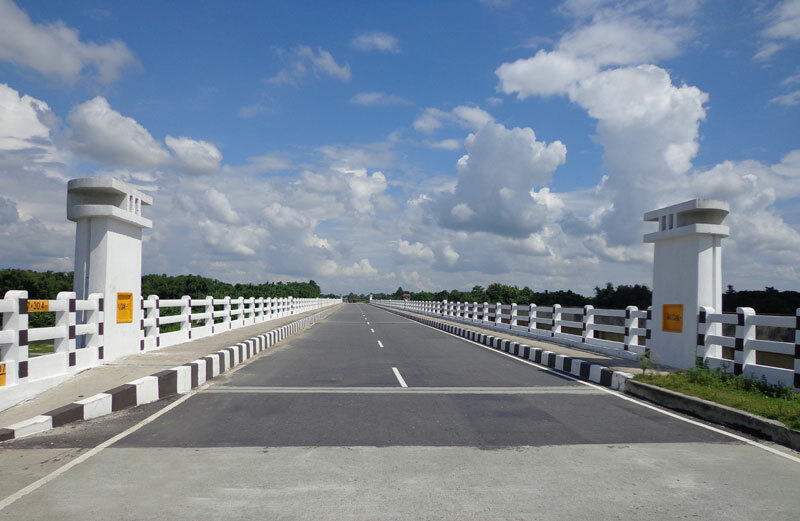 long flyover at Kishanganj. 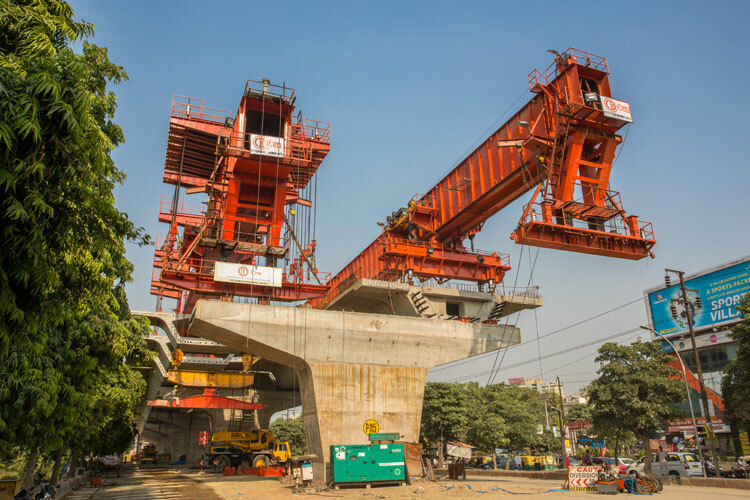 The work of the bridges involved well foundation / pile substructure and superstructure of various designs like, pre-stressed ‘I’ girders, pre-stressed box girders and RCC ‘I’ girders.